He hadn't been in the spotlight as often lately, but Mohamed Elshorbagy turned back the winning mode on again at the Grasshopper Cup last Sunday. 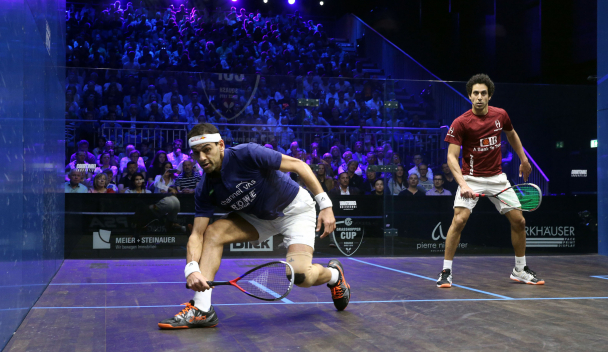 In the final, the Egyptian got his revenge over compatriot Tarek Momen, who had beaten him twice earlier in March. Ali Farag is still World No.1 but the Beast of Alexandria still believe he can come back to the top before the end of the season. It had been four months since Mohamed Elshorbagy had not won a tournament… An eternity for a player who also had recently lost his World Champion title and the World No.1 spot because of fellow Egyptian Ali Farag. 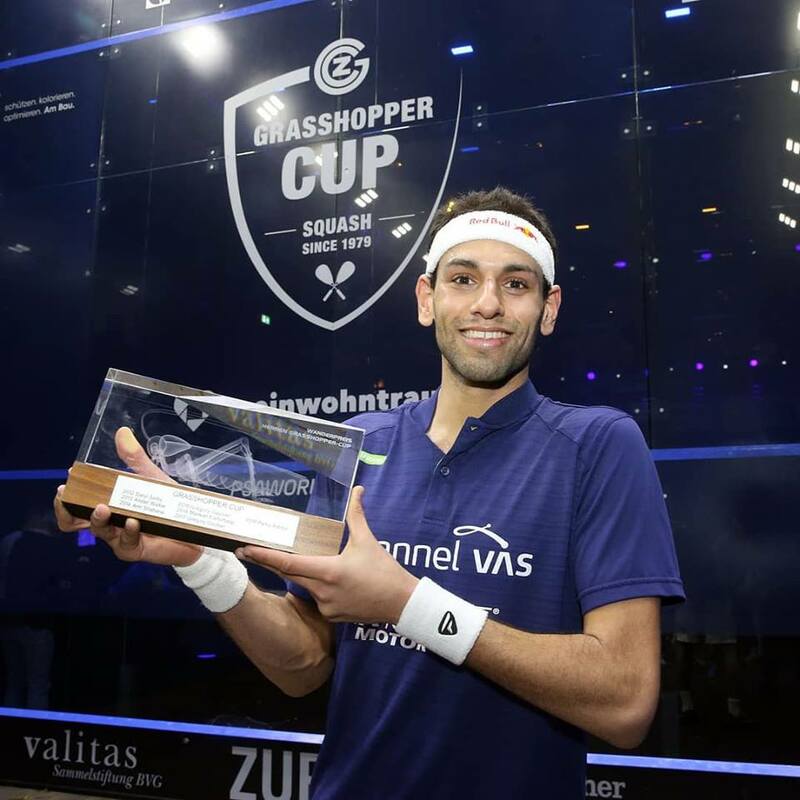 Elshorbagy started his campaign to get back to the top in Switzerland, where he won one of the rare titles he hadn't clinched yet - the Grasshopper Cup. "It’s been an up-and-down season for me, but I wanted to show what I can do and play well." he said after the match. “This season is far from over for me. There is still the World No.1 spot to play for this season, and I’m going to give it my all.” In the final, he was facing one of the men in form on the tour, who had beaten him twice in March, Tarek Momen. The two players had beaten other Egyptians in the semis - Karim Abdel Gawad and Mohamed Abouelghar, who had scalped Ali Farag in the previous round. After having dominated the first act, Elshorbagy saved a game point in the second game and then got an important 2-0 lead. Momen kept on fighting in the third but wasn't able to turn the tables. At 28 years old, Elshorbagy won his 36th title on the PSA World Tour. “I’m really proud to win it,” added ElShorbagy. "A lot of great names have won this trophy like Gregory Gaultier and Ramy. He [Momen] has been playing the squash of his life this season, he made three finals this month, and I know how hard it is to back it up after every tournament. He should be really proud of what he achieved this month. “The second game was crucial, and I thought that if I could go 2-0 up it would have been a mountain to climb." 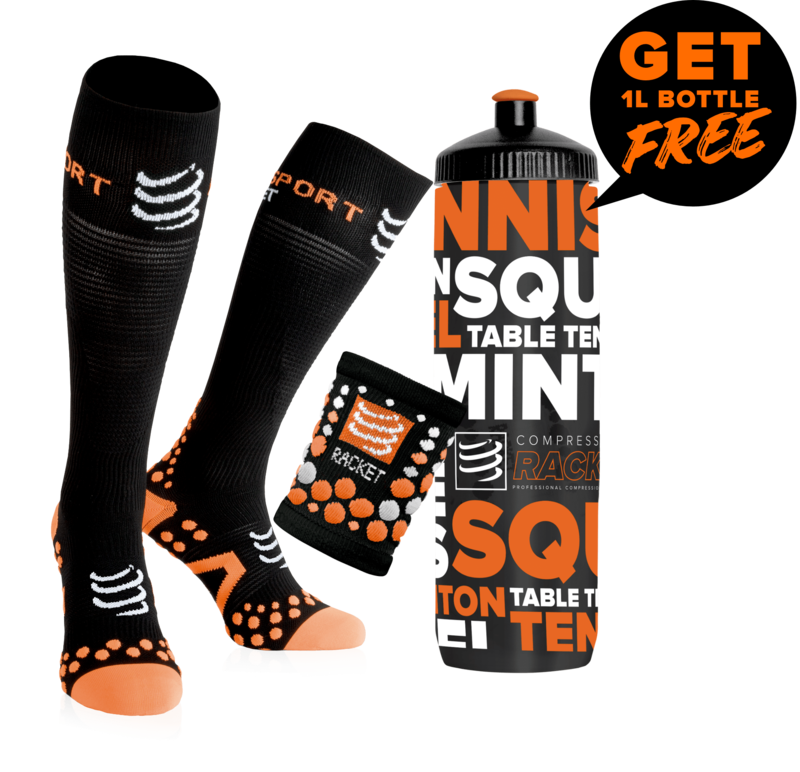 Check out our El Shorbagy pack - 1 bag + 2 rackets - at a discount price on My Squash! Besides the Grasshopper Cup, four other tournaments took place on the PSA World Tour in March. --- Peru’s Diego Elias prevailed in a five-game thriller with New Zealand’s Paul Coll to lift his biggest PSA title at the Troilus Canada Cup Squash title in Toronto, Canada. It’s the Peruvian’s first title since the ReidBuilt Homes Edmonton Open when he defeated Mexico’s Cesar Salazar back in 2016 and his fifth PSA title overall. The two players were facing each other for the first time since last year’s U.S. Open when Coll defeated the Peruvian in straight-games, but it was Elias who got the better of the Kiwi on this occasion as he twice held off a comeback from Coll to take home the PSA Silver title. The PSA and the WSF have been made some announcements regarding upcoming major events. --- The 2019-2020 CIB PSA Women’s World Championship, the most prestigious squash tournament of the season, will take place in front of the Great Pyramid of Giza, the only remaining ancient wonder of the world, after an agreement was reached between the Professional Squash Association (PSA), Egyptian events company I-Events and title sponsors CIB. Due to take place from October 23 – November 1, 2019, the tournament will bring 64 of the best female squash players in the world together to compete for the sport’s biggest prize – and a share of a $325,000 prize fund – with the spectacular pyramids set to provide a stunning backdrop for the first time since the Al Ahram Open was staged there in 2016. 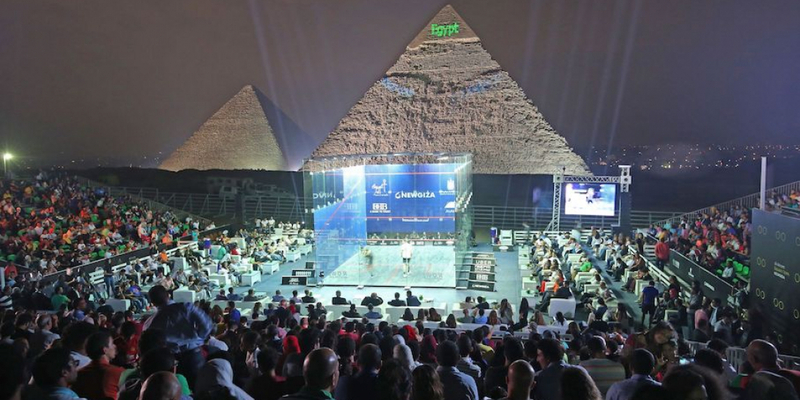 The 2019-2020 event will also see the World Championship return to the Pyramids at Giza for the first time since 2006 – when Australian David Palmer defied the odds to defeat Gregory Gaultier and win one of the greatest ever men’s finals. A men’s PSA Platinum event is due to be staged simultaneously. The PSA Men's World Championship will take place in Doha, Qatar between November 7-15. In addition to their sponsorship of the 2019-2020 PSA Women's World Championship, CIB have also committed to becoming title sponsors of future tournaments in Egypt in both 2020 and 2021. --- World team squash returns to the North Island city of Tauranga after just four years when New Zealand hosts the WSF Men’s World Team Championship in 2021. It was in 2017 that the fifth largest city in New Zealand staged the Women’s World Junior Team Championship – and now the Devoy Squash & Fitness Centre will welcome the world’s leading men for the Men’s World Team Championship, 38 years after the biennial World Squash Federation (WSF) championship was last held in New Zealand, in Auckland, in 1983. Subject to final confirmation, the event will take place from 13-19 December 2021. --- The World Squash Federation (WSF) has announced that the Men's World Team Championship will take place in the United States for the first time in the event's 50-year history, choosing Washington, D.C. as the host city for the event between December 14-21, 2019. Since its launch in 1967 in Australia, the Men's World Team Championship has been staged in twelve countries—including Canada in 1977, and most recently in France in 2017—but never before in the United States. Team USA has competed in the championship since recording a fifth-place finish in the 1973 event in South Africa, and has seen tremendous support in recent years coinciding with an unprecedented period of growth stateside in the sport. Thirty-two national teams are set to make their way to Washington, D.C. for the event this December. Will it put and end to the rumours, according to which the time Marwan Elshorbagy spent away from the tour between May and January was not due to an injury but to a doping ban? 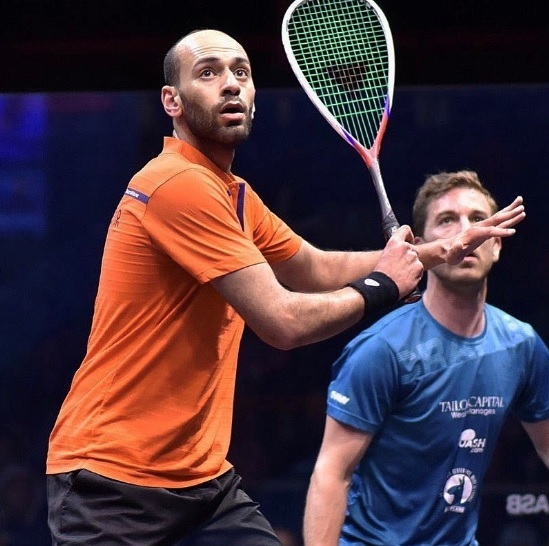 A few days ago, the World Squash Federation had issued the following brief release: "WSF confirms that Marwan ElShorbagy was investigated in relation to a potential breach of the WSF Anti-Doping Rules. That investigation was concluded with a determination that a charge will not be pursued against him nor will a sanction be imposed on him. The matter is now closed." The Egyptian player then replied through his lawyers. "Unfortunately, the process was subject to a lot of inaccurate speculation. Despite that speculation, I will continue to respect the confidentiality of the matter, and will therefore not be able to comment further. It has been a very hard time for me and my family, but I am delighted now to be able to move on from this and I can finally focus on my squash career." New Zealand’s Paul Coll and India’s Saurav Ghosal have both risen to career-high rankings of World No.5 and World No.10, respectively. Coll, the highest ranked Kiwi male since Ross Norman in 1993, claimed his biggest title to date after defeating Egypt’s Tarek Momen in the final of the Canary Wharf Squash Classic last month. Meanwhile, Ghosal becomes the first Indian player to reach the top ten after reaching the quarter-finals of the 2018-2019 PSA World Championships for the first time in his career and the quarter-finals of the Grasshopper Cup. Egypt’s World Champion Ali Farag remains at the top of the rankings, with newly crowned Grasshopper Cup champion Mohamed ElShorbagy remaining at No.2 and Tarek Momen (No.3) also keeping his place to make it an all-Egyptian top three. Meanwhile, Germany’s Simon Rösner rises a place to No.4 to complete the top five. 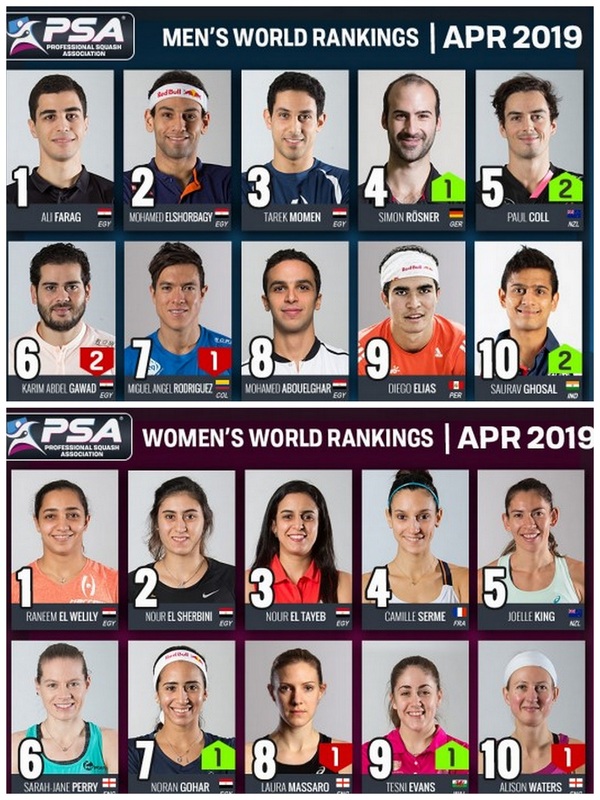 Former World No.1 Karim Abdel Gawad and Colombia’s Miguel Rodriguez both drop places to No.6 and No.7 respectively, while Egypt’s Mohamed Abouelghar (No.8) and Peru’s Diego Elias are both non-movers as they take the other spots in the top 10. Germany’s Raphael Kandra moves up two places to reach a career-high of No.14, while Wales’ Joel Makin also claims his highest ranking to date, rising three places to No.15. James becomes the new England No.1 as he moves three places to reach No.17. Nour El Sherbini’s title win at the 2018-2019 PSA World Championships in Chicago last month has cut the gap between her and the current World No.1 Raneem El Welily to under 200 points in the women’s rankings. 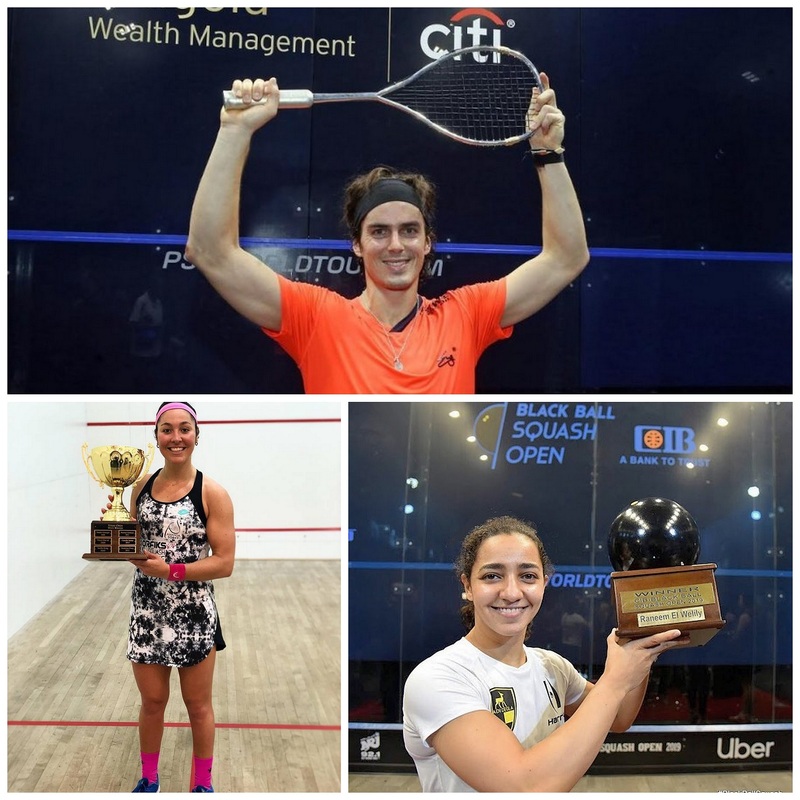 El Welily keeps her place at the top following her win at the inaugural women’s Black Ball Squash Open held in Cairo, Egypt – where she beat El Sherbini in the final – while compatriot El Tayeb remains at No.3 to complete an all-Egyptian top three for the second consecutive month. France’s Camille Serme (No.4) and New Zealand’s Joelle King (No.5) complete an unchanged women’s top five. England’s Sarah-Jane Perry, meanwhile, remains at No.6, while Egypt’s Nouran Gohar (No.7) and England’s Laura Massaro (No.8) swap places. Welshwoman Tesni Evans rises back to a joint career-high of No.9, with England’s Alison Waters completing the top 10. Elsewhere, Malaysia’s eight-time World Champion Nicol David rises two places to come back into the top 20 at No.19. --- Most of the top male and female players will be featuring in the DPD Open next week in Eindhoven, Netherlands. The last time a major squash tournament was held in the country was the 2011 PSA World Championships in Rotterdam. World No.1 and World Champion Ali Farag is seeded to meet compatriot and World No.2 Mohamed ElShorbagy in the men's final. The two players have already battled out in three finals in 2018/19. Farag will first have to negotiate through a tough field, which sees him drawn on the same side as the likes of Colombia’s 2018 British Open champion Miguel Rodriguez, compatriot Mohamed Abouelghar and Germany’s World No.5 Simon Rösner, who he could face in the last four. ElShorbagy meanwhile, could face a showdown with compatriot and former World No.1 Karim Abdel Gawad for a place in the final. Also seeded in the bottom half of the draw is New Zealand’s Paul Coll and ElShorbagy’s younger brother, Marwan. Meanwhile in the women’s draw, World No.1 Raneem El Welily and World Champion Nour El Sherbini could lock horns in what would be their fourth meeting in a final this season. El Welily could face compatriot and World No.3 Nour El Tayeb in the semi-finals of the tournament. Also situated in the top half of the draw is New Zealand’s World No.5 Joelle King and England’s World No.6 Sarah-Jane Perry. El Sherbini, meanwhile, could face a rematch with France’s World No.4 Camille Serme in the semi-finals in Eindhoven. The two players have faced each other in their last two tournaments with both matches going to five-games and seeing the Egyptian triumph. Home interest in the women’s draw comes in the form of Netherlands’ Milou van der Heijden and wildcard Tessa ter Sluis who will face England’s Millie Tomlinson and Egypt’s Yathreb Adel, respectively, in round one. The men’s wildcard was decided in a Play-Off match and Roshan Bharos won against Thijs Roukens. He will take on Joel Makin from Wales in the opening round. --- In the meantime, Peru’s Diego Elias will lock horns in the final of the 2019 Macau Open with India’s Saurav Ghosal if they can make it through a high-quality draw, between April 10-14. Elias will come up against tough competition in his side of the draw from the likes of 2018 winner Hong Kong’s Tsz Fung Yip, who he is seeded to meet in the semi-finals, and Yip’s compatriots Max Lee and Leo Au. Meanwhile, at the opposite end of the draw, Ghosal could face Egypt’s former World No.3 and last year’s runner-up Omar Mosaad for a place in the final. Scotland’s Greg Lobban and Malaysia’s Nafiizwan Adnan are also seeded on his side of the draw. Hong Kong’s Annie Au, who reached the semi-finals at last year’s tournament, tops the women’s draw and is seeded to meet Egypt’s World No.12 Salma Hany in the title decider. India’s World No.16 Joshna Chinappa is set to face Au in the last four, while Hany, who finished runner-up at last year’s tournament to compatriot Nouran Gohar, could come up against Hong Kong’s World No.18 Joey Chan in the semi-finals as she looks to do one better this year. The total prize purse of $100,000 will be split equally between the male and female draws. --- The draws for the 2019 El Gouna International Squash Open were released today. The penultimate PSA World Tour Platinum tournament of the 2018/19 season offer an equal prize fund of $352,000 across the men’s and women’s draws. Men’s World No.1 Ali Farag will top a PSA Platinum event for the first time and he will look to improve on last year’s runner-up finish to fellow Egyptian Marwan ElShorbagy. Farag is drawn on the same side of the draw as Peru’s Diego Elias, Canary Wharf Classic winner Paul Coll and compatriot Tarek Momen. No.2 seed Mohamed ElShorbagy, the 2016 El Gouna International champion, features on the opposite side of the draw alongside British Open champion Miguel Rodriguez, defending champion and younger brother Marwan, and former World No.1 Karim Abdel Gawad. Former World No.8 Fares Dessouky and fellow Egyptian Youssef Ibrahim have been named the men’s wildcards. Reigning women’s champion Raneem El Welily tops the women’s draw and could face eight-time World Champion Nicol David as early as round two. El Welily beat World Champion Nour El Sherbini to win the inaugural women’s title last year, but the current World No.1 has a difficult path to the final, with the likes of India’s Joshna Chinappa, Hong Kong Open champion Joelle King and World Championship runner-up Nour El Tayeb standing between her and a place in the title decider. El Sherbini, who beat El Welily in El Gouna two years ago to win the second of her three World Championship titles, is seeded alongside World No.9 Alison Waters, World No.8 Nouran Gohar and World No.4 Camille Serme on the bottom half of the draw. Camille Serme is the leading European hope in the women's draw. Rising Egyptian talents Jana Shiha and Farida Mohamed, both 17, take the women’s wildcard spots. --- The European U19 Championships take place in a few days in Prague. In the boys' individual event, last year's runner up Viktor Byrtus from Czech Republic and Swiss player Yannick Wilhelmi are seeded to meet in the final while England's Sam Todd is seeded 3/4 and makes his first appearance at only 16 years old. In the women's draw, 2017 runner-up Elise Lazarus from England missed last year's tournament due to injury and is seeded #1. She could face Scotland's Georgia Adderley, who claimed the bronze medal in 2018. Other contenders are last year's silver medal Alice Green and Ambre Allinckx. In the team event, England will try and clinch a tenth consecutive gold medal, and their main challengers will be Czech Republic and Switzerland.